Meet Tom - Go Navy Go! Thomas L. (Tom) Posey serves as general counsel for the GEARENCH division of Orbix Corporation, an international oilfield equipment manufacturer founded in 1927, located in Clifton, Texas. Tom began his career with Gearench in 1979, right out of college. Initially he split time between the machine shop and the accounting department, eventually working his way to chief financial officer. His responsibilities in that role included tax and accounting oversight for the company. In 1982, Tom was assigned to run a struggling subsidiary, successfully negotiating the sale of the subsidiary in 1984 before returning to Orbix as the manager of business development, where he analyzed and negotiated the acquisition of product lines for the company. In 1989, Tom left the oilfield for a legal career. He practiced law with Rutan & Tucker, a corporate law firm in Newport Beach, Calif., and later with Hutcheson & Grundy LLP, a regional business law firm in Houston. His practice included corporate law, contracts, tax, and mergers and acquisitions. In 2002, Tom and his wife Šárka founded Posey Capital Management, a fee-only registered investment advisory firm, where they worked with a team of other financial professionals to design, monitor, update and execute wealth management strategies in pursuit of their clients’ wealth transfer, retirement and tax objectives. Buckingham Strategic Wealth, the world’s largest fee-only financial advisor, acquired the company in 2015. 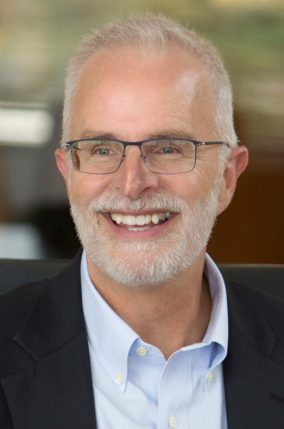 Following the acquisition Tom managed Buckingham’s Houston office, retiring from Buckingham in 2019. Tom earned bachelor’s degrees in business and psychology from Trinity University in San Antonio, Texas, in 1979. He earned his law degree from the University of Texas School of Law in 1992, where he served as a Teaching Quizmaster. He participated in a number of advocacy competitions, winning the Hutcheson Moot Court Competition and competing nationally on UT’s national Moot Court team. Tom holds the Certified Financial Planner® and Accredited Asset Management Specialist professional designations. Formerly a faculty member at Rice University’s School of Continuing Studies, Tom has taught in the school’s Certified Financial Planner® certification education program, instructing students on topics that included retirement planning, estate planning, education funding, insurance, income and estate tax, and investments. Tom also has lectured at the University of Houston Law Center on trusts, estate planning, and asset protection. Outside of work, Tom serves as a member of the Finance Committee at The Parish School in Houston. He also is a member of Business Executives for National Security (BENS), a nonprofit that supports the U.S. government by applying best business practice solutions to its most difficult national security problems. Tom served on the BENS Cyber-Awareness Task Force, working to raise awareness of the risks to U.S. industry from computer hacking and intellectual property theft. He also served with a BENS group that assisted the U.S. Special Operations Command (USSOCOM) in identifying illegitimate business structures in its efforts to stop cash flows to terrorists. Through BENS and the U.S. Navy’s Leaders to Sea program, Tom has had the opportunity to visit various military bases and facilities. After his experience on the aircraft carrier USS Harry S. Truman – in which he was flown aboard with an arrested landing, toured the ship, spent the night aboard, and then was flown off the next day with a steam catapult launch – Tom launched his GoNavyGo website to honor, support, and express his thanks to the U.S. Navy. A Houston native, Tom and his wife have two young children. Tom enjoys exercise and reading, mainly history.